The Chess Life Annual is a beautiful, hardcover book that features all twelve issues of Chess Life magazine from the specified year. Each annual features a rich, black leather cover and has the USCF Logo and production year embossed in Gold on its spine. 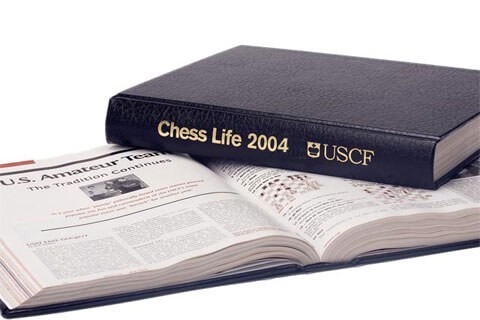 Each and every page from those issues of Chess Life Magazine are bound separately inside the Annual, as if they were pages from a book. Only 100 of each Annual is produced each year and books are sold on a first-come, first serve basis. The Chess Life Annuals are true collector's items.